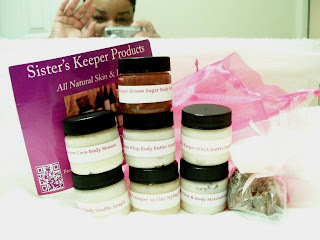 In this pink bag is from Sister's Keeper Products there's a whole lotta little good for your hair and body samples to pamper myself from head to toe. So the first thing I did was take the photos, then opened everything and smelled and rubbed everything everywhere. On shampooed, towel dried hair, I add just a little bit of this as a leave-in and let it just about dry before layering it. It has a very light, non-greasy texture. As its name suggests it can be used from head to toe. This would be great on the skin for those who do not like to be shiny. It readily absorbs too. 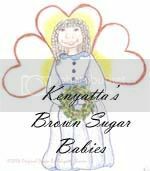 It's sweet nutty fragrance is light enough to wear with other perfumes and body sprays. I use this right after applying the H&B Moisturizer for a little sheen. I can see this being a good shine/sheen product for polishing twists-outs to give that extra pop. Plus it smells great having a tropical fruit feel along with underlying butter scents. Yes, I rubbed it on the skin. It leaves a bit of a glow to the skin without being heavy. Back to the two on my hair, my hair is soft, flexible, nearly frizz free, sheeny, and very touchable. This is a soft butter that goes a long way. It melts easily into the skin. It's like an aerated oil, very delicate. This too leaves a beautiful glow to my skin without being greasy. I really can't tell the difference between this one and Dream Whip. After reading the discriptions again. 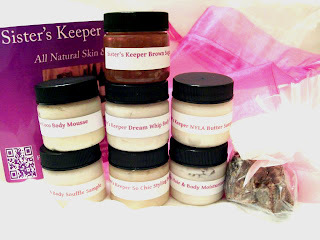 NYLA is pretty much the same as DW, but without the shea butter. I'm not sure which scent this is but it smells like graham crackers, love it. I haven't tried these on my hair just yet, but I can see this being similar to So Chic. If I had to pick between the two, I'd get both just in different fragrances. They are both whipped and feel good on the skin. The souffle is mango and avocado butters based, no shea. Coco has soy and cocoa butters. This is a great way to exfoliate and seal in moisture in one product. Brown Sugar has the thickest oil I've seen in a scrub. 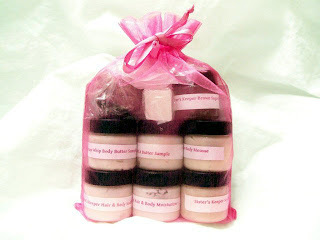 It has brown sugar, dead sea salt, vitamin e, and many good oils to pamper the skin. I have not used these yet. Honestly, I really haven't tried a handmade body soap that I didn't like. They are much better than commercial soaps. Google the two kinds and learn the magic of them both. If you haven't tried a bar and shopping at Sister's Keeper, get one. Overall, Sister's Keeper has made a collection of products using a variety of butters and ingredients to make the skin and hair supple. These products will make for great butter sealants. This is a great sampler for me because I'm using all these little jars all over! Products were paid for by me. I revived my sample kit a couple of weeks ago and I am in love with the dip. I also used the nyla on a scar my son had and the next morning it was almost invisible. I will be ordering again soon! Firstladysham! I'm very pleased with everything. This will be the first time that I'm keeping everything in the kit!